Gordon Brown and Buckingham Palace have discussed plans to change the rules of succession to the throne, including giving royal women equal rights. 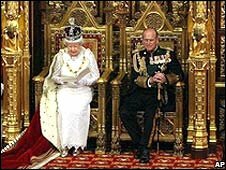 Downing Street said the scrapping of the ban on heirs to the throne marrying Roman Catholics was also discussed. 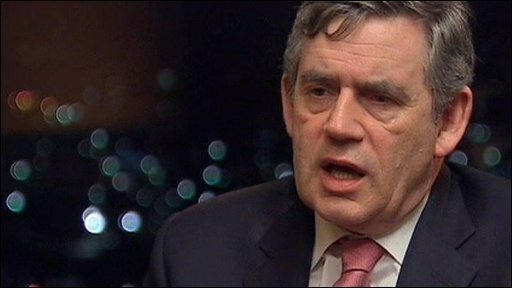 Mr Brown said people expected discrimination to be removed and Tory leader David Cameron backed the reform. Meanwhile a BBC poll suggests public support for reform, with 80% wanting equal succession rights for women. A Private Members' Bill aimed at ending the discrimination was killed off by the government on Friday, following a Commons debate. Justice Secretary Jack Straw told MPs he was not ready to indicate a "precise timetable" for legislation to bring about change, but their "pressure" had made the issue a "higher priority for government than it has been". He promised to ensure "soundings" were taken of the Commonwealth countries and to report the outcome of the debate to the prime minister. But Lib Dem MP Evan Harris, who put forward the bill, accused Mr Straw of dealing a "serious blow" to the prospects of reform and said Mr Brown's apparent backing for change was just "spin". Speaking after the debate, Mr Harris said: "Jack Straw was asked three times to provide either a timetable, a commitment to a Government Bill before the next election or any other tangible step towards this necessary and popular reform but said he couldn't provide any. "The Liberal Democrats, with cross-party backbench allies, will seek every opportunity to keep this on the agenda." Mr Harris's Royal Marriages and Succession to the Crown Bill would have ended the centuries-old ban on Catholics marrying the monarch and the rule of primogeniture, under which a woman in the line of succession is automatically superseded by a younger male sibling. Speaking earlier during his visit to Brazil the prime minister appeared to give his backing to changes. He said: "There are clearly issues about the exclusion of people from the rights of succession and there are clearly issues that have got to be dealt with. This is not an easy set of answers. "But I think in the 21st Century people do expect discrimination to be removed and they do expect us to be looking at all these issues." David Cameron, giving his reaction to the debate, said: "The Queen is not just our Queen. She is the Queen of all the Commonwealth countries that have her as their head of state so this is not an easy change to make." 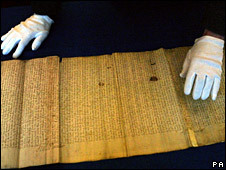 The rules of succession are laid down in the 1701 Act of Settlement. It states heirs to the throne lose their right to be the sovereign if they marry a Catholic or convert. In addition, male heirs are given precedence. Defending the faith, or prejudice? If the Act was changed to give royal daughters equal rights, Princess Anne would become fourth in line, behind Prince Harry. Currently she comes after the Duke of York and the Earl of Wessex, and their children. As things stand, Prince William cannot marry a Roman Catholic and become king. And if he has a daughter she cannot be queen if she has a younger brother. Prince Michael of Kent, the Queen's first cousin, is among a small number of royals who have renounced their place in the line of succession by marrying a Catholic. Autumn Kelly, the Canadian wife of the Queen's grandson Peter Phillips, gave up her Catholic faith ahead of their 2008 wedding so her husband could retain his right to the throne. The BBC's royal correspondent Nicholas Witchell said Prince Charles and his officials were quietly thinking about the changes that should be made to the monarchy when he finally succeeds to the throne. He added that allowing heirs to the throne to marry Catholics "opened a can of ecclesiastical worms" for the Church of England, the official church of which the monarch is the Supreme Governor. Reform would need the backing of the 15 other Commonwealth countries which have the British monarch as head of state. There is a major Commonwealth summit in November. Downing Street has, meanwhile, said dialogue with Buckingham Palace was ongoing. The BBC poll, conducted by ICM Research, suggests four out of five people want to give women equal rights of succession and remove the ban on the heir marrying a Roman Catholic. Some 89% of the 1,000 people questioned believed male and female heirs should have equal rights to succeed to the throne. Some 81% believed that an heir to the throne should be allowed to marry a Roman Catholic and still become monarch. According to the poll, 76% said the monarchy should continue after the Queen, against 18% who said they would favour Britain becoming a republic. An additional 6% said they did not know.